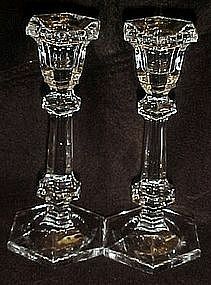 Pretty crystal clear lead crystal candle holders. They measure 6 1/8" tall and are a nice quality crystal. They are both perfect with no damages. Sold as a pair.